**New for 2016. The Samsung UN55KS8000 is Samsung’s lowest priced Quantum Dot (SUHD) 55-inch third generation of Flat Screen 4K Ultra HD TVs from Samsung. For 2016 Samsung is introducing the HDR (high dynamic Range) HDR1000 line of TVs that have the new (Quantum Dots) technology, including the SUHD KS8500 Series. This technology has produced the best LED TV picture Samsung has ever produced. The Quantum Dot technology produces a brighter picture, 10x deeper blacks, and up to 64X enhanced color detail, for more natural vivid colors. High dynamic range gives you more shadow detail, brighter whites, and more natural colors. A 4K Ultra HD TV provides 3840 x 2160 resolution, which is four times the resolution of Full HD. This allows you to sit closer to a larger TV and get the immersive movie theater experience. Most movie theaters now use a 4K projector, so in effect you will have movie theater resolution in the home. Advanced 4K Picture Quality: The Samsung UN55KS8000 4K 55-inch LED backlit TV includes Samsung’s advanced Precision Black Local Dimming with UHD Micro Dimming LED edge backlight technology for the deeper blacks and colors. PurColor (more natural colors) and Wide Color Enhancer Plus are premium features of this TV. 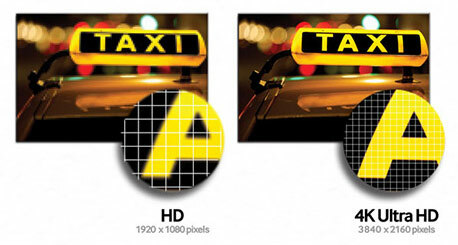 The upgraded Ultra Clear Pro Panel eliminates reflections, and boosts the contrast ratio. The 240 Motion Rate anti-blur technology combines a native 120Hz Panel along with backlight control to provide blur free, clear motion, great for sports and fast moving action. This model is HDR-capable, using its Peak Illuminator Pro feature. 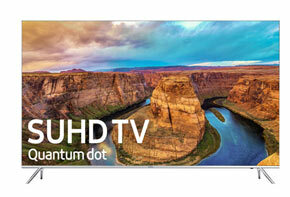 The UN55KS8000’s Samsung UHD Upscaling Technology can Upconvert regular HD to 4K for better image quality. Energy Star compliant. ATSC Digital Tuner with QAM. 1 Component video input, and 4 HDMI 2.0 inputs for full 4K and 2D/3D connectivity for DVD players, Blu-ray, PS3, PS4, Camcorders, PCs and a range of other digital devices. Also features a 40 watt sound system with subwoofers, with DTS Premium 5.1 Sound. HDCP 2.2, MHL 3.0. Wi-Fi Direct. 3 USB 2.0 ports for digital photo/video/MP3 playback, Ethernet port. 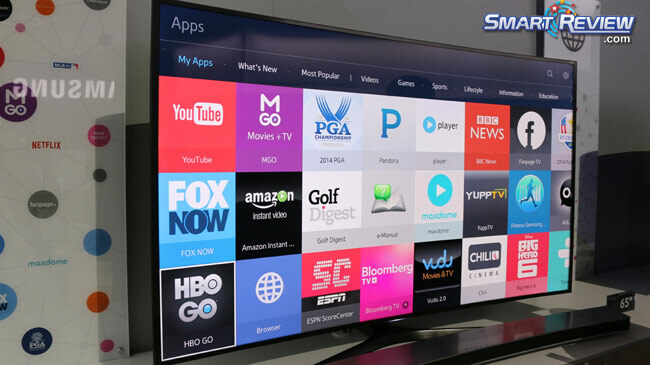 Smart-Review Commentary: For 2016, The 55-inch UN55KS8000 4K TV is one of Samsung’s best Flat LED 4K TVs and comes fully loaded. This is the lowest priced model with quantum dots. 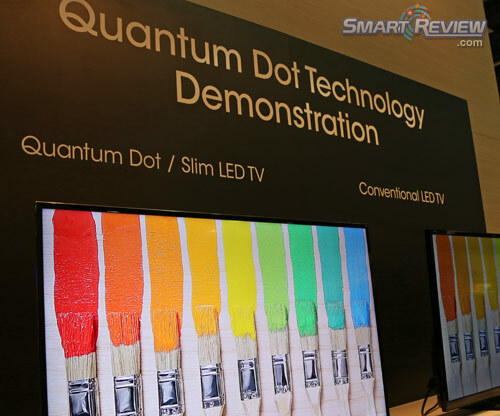 These are the second generation of TVs from Samsung with Quantum Dots. Quantum Dots will increase brightness and give much richer colors than normal TVs, as well as 10x deeper blacks. In addition, this TV is equipped with HDR1000 technology to give you high dynamic range for more natural colors, brighter whites, deeper blacks. 4K Ultra HD resolution will give you 8 megapixels of screen, versus only 2 megapixels in regular HD. This is the future of TVs as 4K is the new standard. 4K Ultra HD is the same resolution as the movie theater, and will give you a more immersive experience, as the pixels are 4 times smaller, and you can sit much closer to the TV. Native 4K content is just emerging. Native 4K Blu-ray players have been introduced in 2016. Netflix and Amazon already have 4K content and more is on the way. This TV comes with the latest 4K standards: including HDMI 2.0 , and HEVC (h.265) decoder built-in. These will allow high speed 4K (60fps) and 4K Streaming. The 2016 4K TVs have been upgraded to 802.11ac WiFi, the latest wireless standards to support streaming 4K video. Other notable features are a Quad Core Processor and Precision Black Local Dimming. Bluetooth® wireless audio streaming to speakers or headphones. 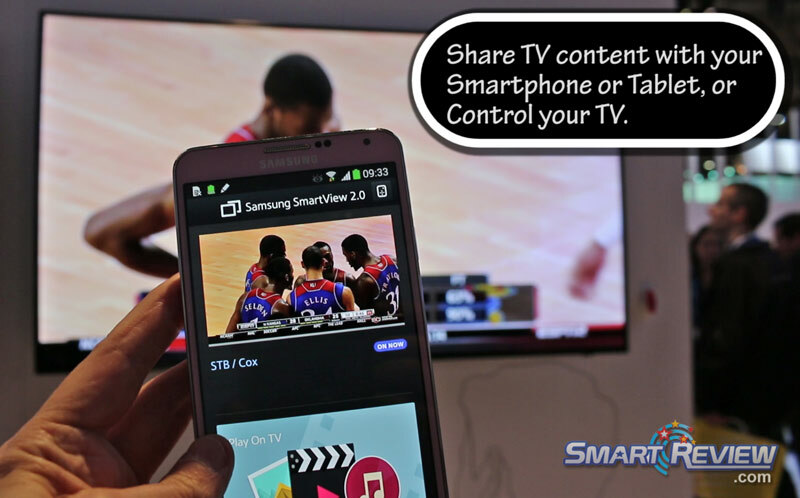 SmartView 2.0 allows you to view content from your Smartphone or Tablet. Bluetooth® wireless audio streaming to speakers or headphones. 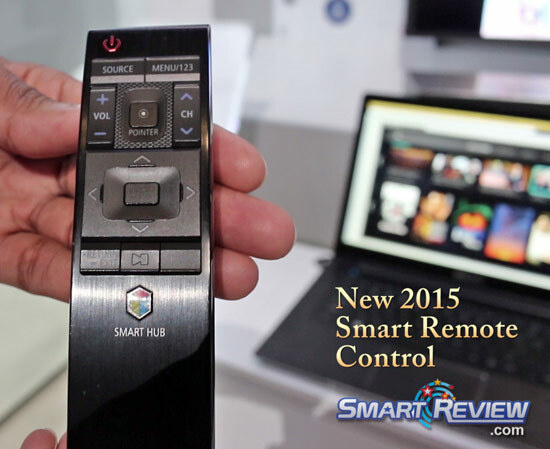 The KS8500 4K Series comes with a Smart Remote. We previewed the Quantum Dot TVs with HDR at CES 2016, and they have the best picture on an LED TV we have seen from Samsung. The UN55KS8000 4K TV has received exceptionally excellent reviews and is a not only a SmartReview Top Pick, but has won our BEST of 2016 Award.